It just looks like this little guy has lost something and cant remember where he put it! FZ10, Nikon 6T, f8, 1/60s, iso 50 and trusty Sunpak 383 (bounced). That flash has been my best purchase so far, so cheap but so good. All you macro folks are making me want to buy a lens, but I better learn to take regular pictures first. Don't know how long I can wait. I enjoy yours and all the other shots posted. Sorry for my English but I don't understand "bounce". What does it mean? Good shot; Does indeed look al lot like he's looking for something -Maybe playing hide 'n seek? 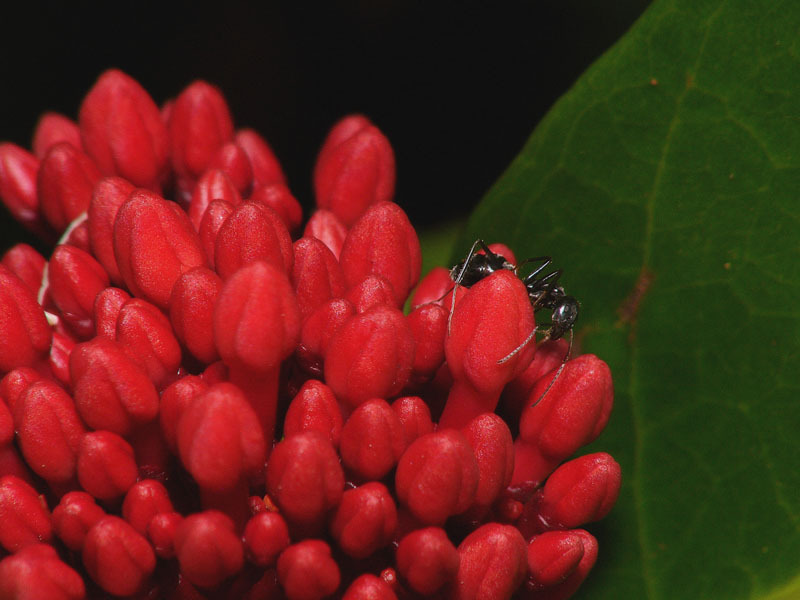 Great contrast between the red and green; I like the placement of the ant in the composition a lot too. -Bounce flash means the direction of the flash is not directly at the subject, but aimed for a different surface, at which it will bounce, and so indirectly lighting the subject. Thanks for the comments guys. 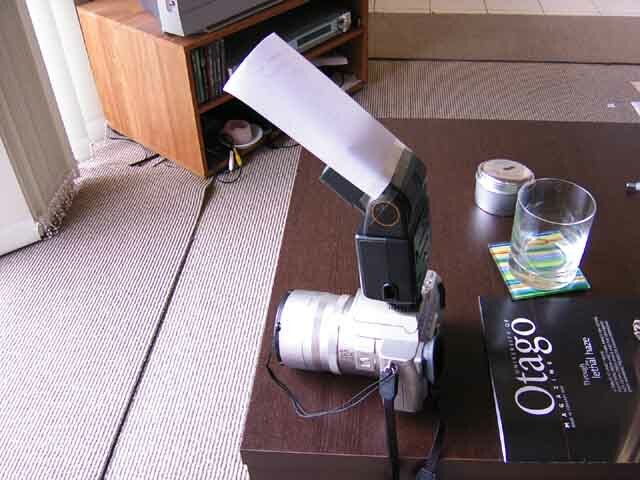 Trus I have attached a photo of my setup with the flash showing how it is bounced. Bouncing the flash off the white paper almost completely removes hot spots in images (bright bits from flash) and in my opinion is the best way to use the flash for macro photos.